There is a very distinct difference between a house and a home. A house is a place where you hold your belongings but a home is a place where love lives. Everyone wants a home to live in with their family, but how do you continue on when that home has been invaded by the enemy and is threatening to destroy everything that you love? How hard do you fight to maintain the love or should you just give up and walk away? Seprah and Carson King are still young in their marriage and wildly in love. Now to add to the love they now have a new baby, Laurence. The universe seems to be in alignment with all of their needs until whirlwind Laramie King comes back to the States and everything goes to hell in a handbasket! How can one person cause so much destruction and still remain calm and cool about everything? Does he not care about his family and the pain that he is causing or is he so wrapped up in his happiness that he will do whatever it takes to make it happen? My Heart’s Home is the third and final book in the Heart series and if you have been following this series you will NOT be disappointed! The way that these characters interact with each other makes you feel like you are watching a movie instead of reading a novel. The story is so clear and flows so smoothly that you are feeling the emotions that the characters are feeling, it is almost like you are there with them. I love writing like this because it brings you into the story and that is a sign of an author who is in tune with their readers. I always look forward to reading the works of Carla Terrell and she did not disappoint this time, great job! Continued success! 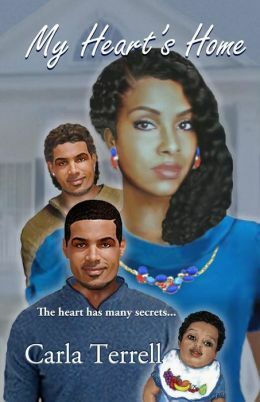 My Heart’s Home is now available for purchase through Amazon.com (Kindle and paperback) and BN.com (paperback only). Visit the author’s website to learn more about her and her other books, http://www.cyterrell.com. Everyone wants to be chosen for something, whether it is a sports team a job promotion or that new love. What does it take to be chosen? Do you have to be special, possess some sort of special talent, be the prettiest one in the room or just be yourself? Whatever we do to be chosen for the most part it is exciting, but what do you do when you don’t want to be chosen? How should you react? Is there anything that you can do to change the mind of the one doing the choosing? Lillian Black was just a little girl when her entire life changed. Lillian woke up to the sounds of the most life-changing events that she will ever experience as a young five-year old child but that would form her life forever. Nefertiti and Ramesses are married and madly in love. They had a daughter, Isis who they loved very much but she was violently taken from them and that is a pain that Nefertiti has never gotten over. Nef and Ram (as they are called for short) have found out that the one who took their young daughter is the same one who caused Nef much pain when she was a small child. Now it is a matter of exacting revenge on this person, but that is not an easy task. The person who has caused Nef so much pain since she was a small girl is a vampire and not only just a vampire but the head vampire of The Underground and he has further plans for Nef. Is there anything that Nef can do to relieve this pain that he has caused or will he continue to cause her pain until her demise? Out For Blood is the first book in The Chosen One series and it introduces us to the characters who will build our vampire/werwolf adventure. These characters are animated and there is plenty of drama. We have time travel, interaction with Greek Gods, and fights with vampires,werewolves and humans. The book was a little slow going in the beginning but once it got going it held your attention. Despite the minor editing errors, this is a good story and I look forward to the next installment to see how this all plays out. 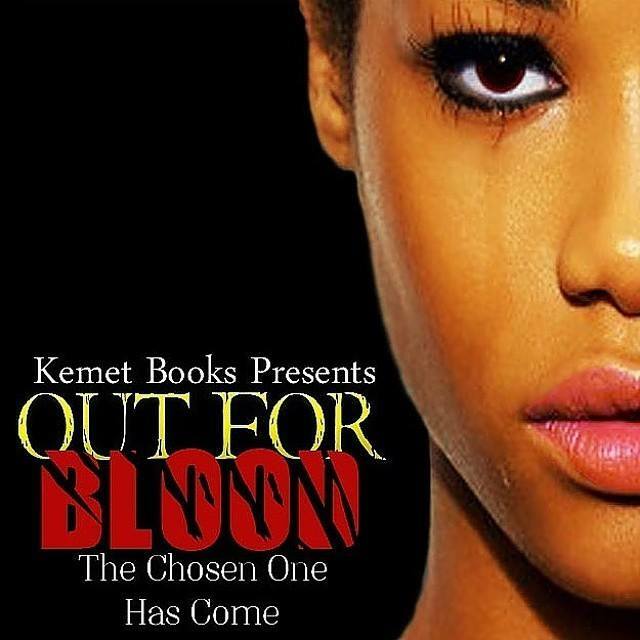 Out For Blood: The Chosen One Has Come is available for purchase through Amazon.com (Kindle edition only) and BN.com (Nook edition only).